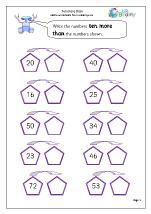 Part of the process of ordering is to be able to say what is one more than, or one less than, any given number up to 20. 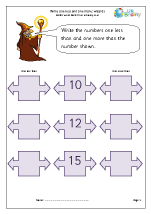 As children begin to appreciate place value they will then progress to finding ten more, or ten less, than 2-digit numbers. 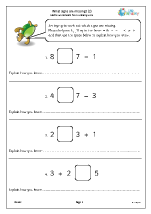 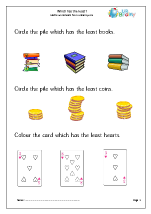 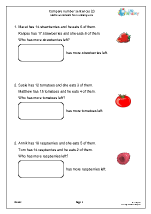 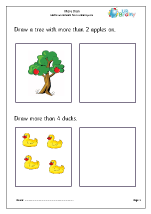 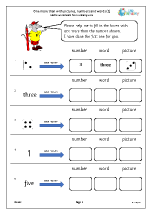 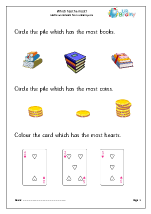 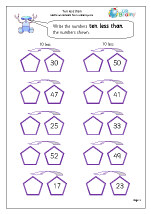 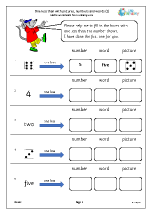 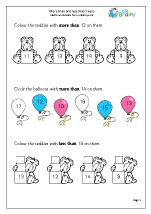 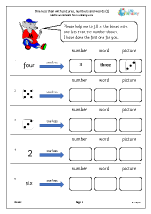 Our colourful worksheets give extensive coverage of these topics. 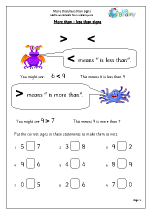 Finding more than and less than with numbers up to ten. 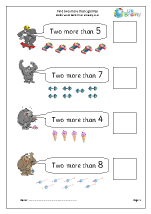 Using more than and less than with larger numbers. 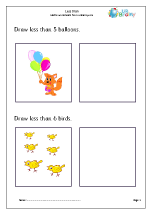 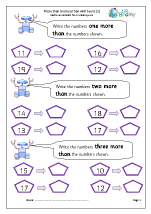 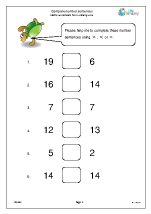 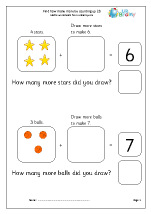 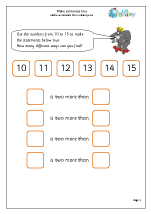 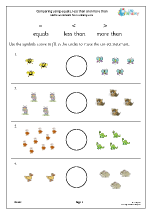 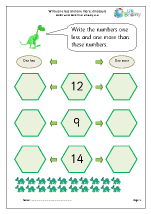 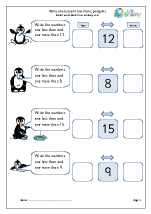 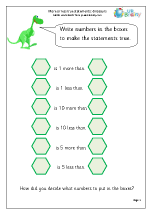 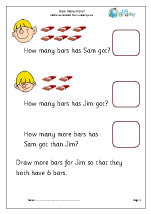 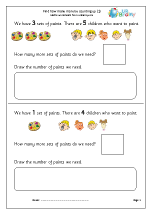 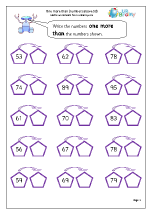 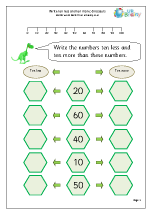 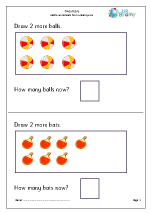 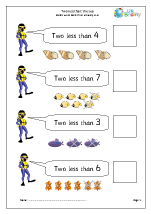 Compare numbers using the more than, less than and equals signs.